The Taliban on Wednesday claimed responsibility for the rocket attacks near the Hamid Karzai International Airport in Kabul, saying that US Defense Secretary James Mattis and NATO Secretary General Jens Stoltenberg were their targets. According to Tolo News, the Taliban in particular emphasized that the "target was U.S. Secretary of Defense James Mattis." Two more explosions were reported as having taking place near the airport following the earlier rocket attacks. The airport had to be evacuated and all flights into and out of Kabul were cancelled. Ministry of Interior spokesman Najib Danish confirmed the incident, saying the attack had not caused any casualties. There are also reports that sporadic gun fire erupted briefly after the rockets landed close to the airport. Hamid Karzai International Airport is located five kilometers from the city centre of Kabul. It serves as one of the country's largest military bases, used by the United States Armed Forces and NATO's International Security Assistance Force (ISAF). The military of Afghanistan also has a base there, while the Afghan National Police provide security inside the passenger terminals. 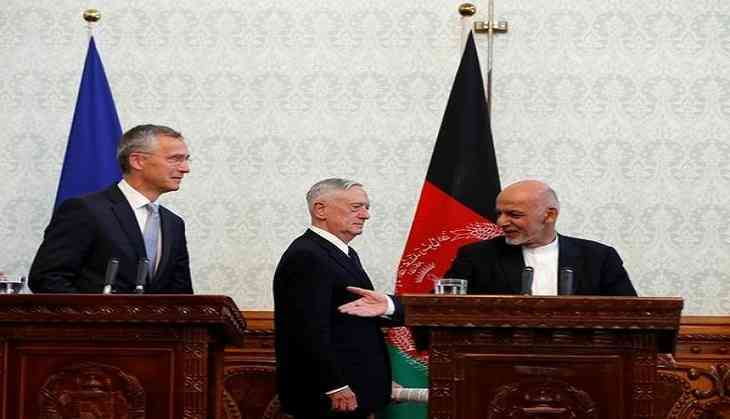 NATO chief Jens Stoltenberg said "his organization does not want Afghanistan to become a safe haven for terrorists again and the organization's troops are here to make the country safer along with safeguarding NATO alliance countries." Asserting that his presence in Kabul along with Mattis' reflects their commitment to Afghanistan, Stoltenberg said, "Corruption is a serious concern and that thousands of civilians have lost their lives in the Afghan conflict over the years, We count on Afghan government to make good on its commitments on key reforms' and that NATO supports peace process."